Every woman desires to see the silver lining in her hardships. We all desire to gain understanding in our pain. However, many women waddle in pity and remain stagnant in complacency, because they’ve attached their identity to the lies they were told about themselves and gave access to all the people who should’ve been denied entry. Indeed, they’ve morphed into the woman they were accused of being because they let go of their dreams. Kay Moye is a vibrant and beautiful young visionary, but at one point, she too somehow lost sight of her brilliance. She almost gave it all up because the pain of her reality was too hard to bare. The pain of seeing everything that didn’t represent who she was, but somehow still existed, yes her contradictions were suffocating her and she once desired to stop breathing. We are so grateful and excited to see her push through her pain and give way to victory. Every day that we all breathe is a triumphant moment because so many women face hardships daily that make them want to let life go. We celebrate Kay Moye for not only telling her truth but for helping other bright and vibrant young women learn to piece together what was once broken and make their own masterpiece. 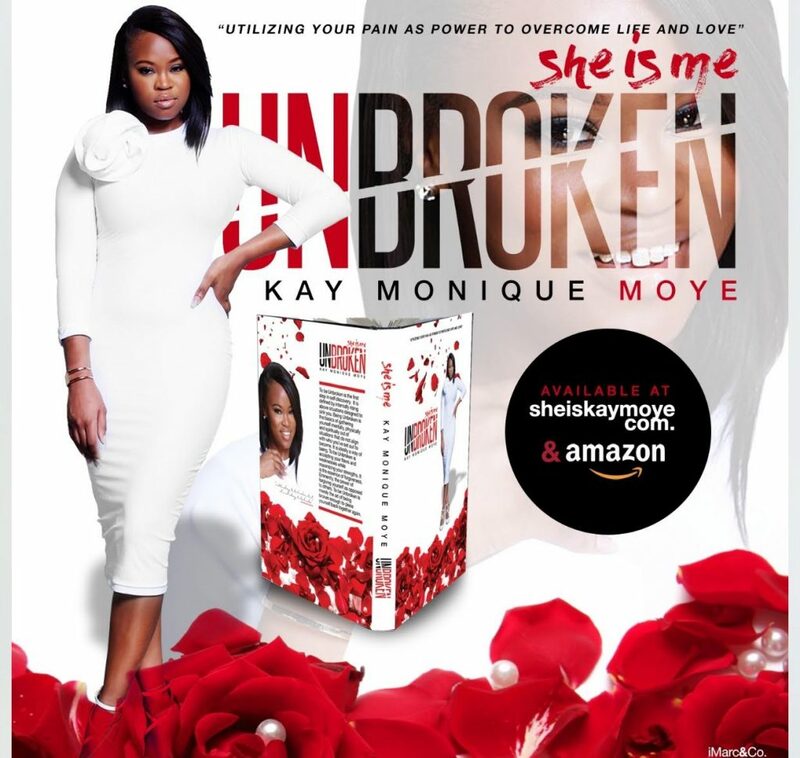 Kay Moye is a self-proclaimed, “Helping Homegirl.” This self-help maven and public speaker ultimately wrote her way out of darkness. With very few relatable self-help books geared towards the urban demographics, her new book She Is Me Unbroken puts her in a category of her own. 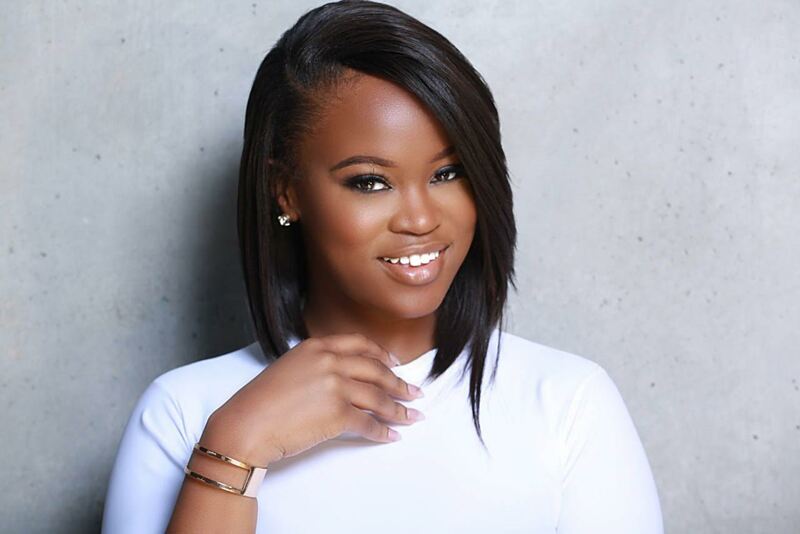 As a young woman from Upstate New York, Kay uses the “girl around the way” approach to assist young women alike in utilizing their pain as power to overcome life & love. Essentially her goal was to reach young women who needed it most— the girls like her. Doing so has afforded her the opportunity to speak at inner city high schools, vocational schools and a slew of women’s organizations including battered women’s shelters. Her natural love for helping others and personal struggles transpires hope to young women most have counted out. SWC: As a young woman of only 28 years old, what are the signs that helped you realize your purpose? Kay: I’ve been writing since I was a young girl but never envisioned myself as an author. I came across this path by pure fate. My book started off as a suicide letter. I had been broken to what I thought at that time was beyond repair. I was in a really dark place in life and saw no light at the end of the tunnel. After realizing my writings were not only therapeutic for myself but for others, I thought to turn a few pages into a book. It wasn’t an easy decision as I was ashamed and embarrassed to tell my story, but ultimately it has been the most freeing experience in my life thus far. 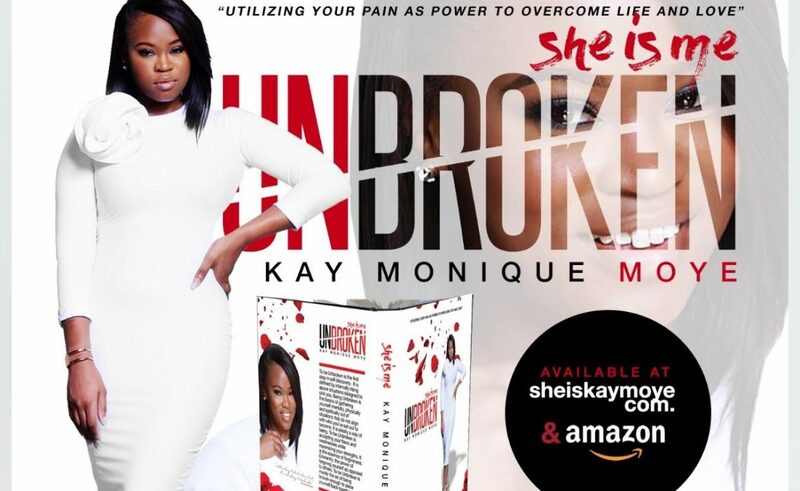 Kay: This book is about past mistakes that ultimately led me to my breaking point. She Is Me Unbroken touches on the hard lessons of life & love. Growing up with an absent father, I chose the wrong men— never fully understanding my own worth. On a chapter titled, ‘Unpretty’ I speak about my personal insecurities and the process of loving myself inward. From ‘Unaware to Unbroken’, each chapter is filled with jewels. It reflects the story of a young woman on the quest to create and conquer her very own Queendom! What is something about yourself that most of your fans and followers don’t know? Kay: Honestly, as confident and self-assured as I may seem to be… I’m super shy! What books are on your top 5 must read list? What I know for Sure (Oprah Winfrey) – I purchased the audio of this book and I often play it when I think it’s time to refocus and redirect myself. Coming from Oprah herself you can use certain experiences and lessons within this book to help you better and more effectively channel your best self. Outwitting the Devil (Napoleon Hill) – I think every human being on earth should read this or listen to this audio at least once. I find myself using these concepts and practices a daily basis. This book will have you questioning every fear you’ve ever entertained and will give you a greater insight on your true power of thinking. This is honestly one of my “go-to” books. Destiny (TD Jakes) – I absolutely love this book! It’s both inspirational and self-motivating. I find myself revisiting this book often and challenging myself to live my greatest potential. Everyone should aspire to reach their true destiny. The Secret (Rhonda Byrne) – The book has a lot of power. This was actually one of the first books I read when I began my own personal self-help journey. It teaches you how your thoughts become things and the true power of your mind. The Secret to Success (Eric Thomas) – My sister actually stumbled across ET the hip hop preacher and began sending me links about him. She said, “You know how you always talk about how most motivational speakers don’t really relate to you? Well, you will love him. He inspires on a different level.” Eric Thomas was actually one of the first authors and inspirational speakers that I felt I could truly connect with. He inspired me to be myself and cater to girls like me within my own book. He made it “okay” to be yourself and inspire. His book The Secret to Success is a must read for the urban demographic. Out of the 10 Chapters of She Is Me Unbroken, what is your favorite chapter? Kay: This may sound silly, but I have a lot of personal goals on my bucket list. This summer, number one on my bucket list is to learn how to swim. Learn to swim- This has been a personal fear of mine and I understand that fear isn’t real. I think once you get over your greatest fear you can conquer anything in life. I want to be unstoppable. In that, I have to get over this personal fear. I have to learn how to swim. It’s so much more than just learning to swim for me. It’s overcoming my greatest fear and becoming fearless. Visit Africa – I’ve traveled all over the world, from China to Peru yet the one place I have failed to visit is Africa. I want to go back to the motherland. Create Generational Wealth & become financially literate – I think as a people we struggle with finance. I want to learn as much as I can and give my offspring something I never had— A leg up. Experience Motherhood – No time soon, but eventually I’d love to experience motherhood. Write & Produce a film – I think we have a lack of good television content. We use to have great movies & shows like A Different World, Cosby’s etc. I’m currently working on something and I’m excited about it. Professionally, I want to expand my brand and make myself more visible to the general public. I think I’m doing quite well to have only been in Atlanta 2 years, but this year I want to elevate myself and social circle. I’m also working on a self-help app that will be available this summer. Currently, I’m in the process of shooting a promotional mini film for my new book, She Is Me Unbroken.